"One of the most important attributes of the G.91 is its short-field capability: the airframe possesses the robustness necessary for high-intensity operation from semi-prepared strips and features ample access panels for simplified field maintenance." No. 119 in the 'Aircraft in Profile' series. 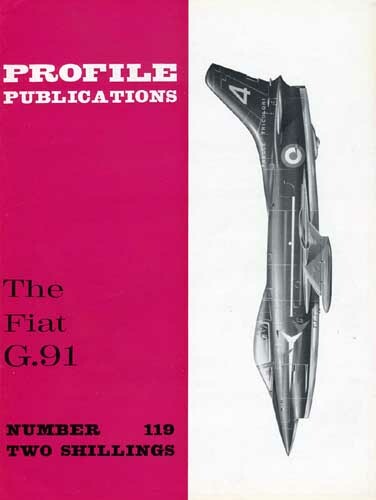 Detailed description of the design, development and operational history of the Fiat G.91, an Italian jet fighter designed and built by Fiat Aviazione. Well illustrated with colour drawings by Keith Broomfield and R. Ward, also many black and white photos.